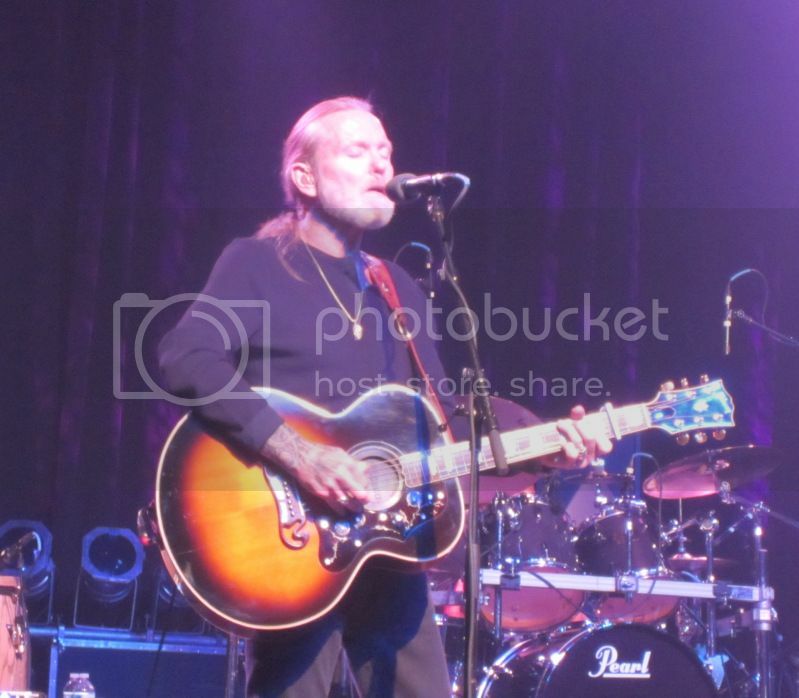 Board Index > General Chat > Anything Goes > Gregg Allman & Friends in Augusta, GA Wednesday 10/10/12!! 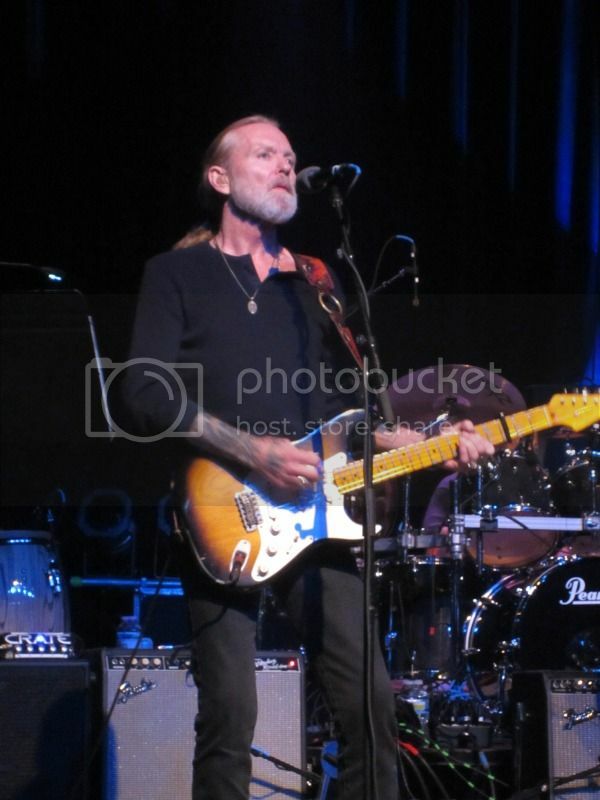 Author: Subject: Gregg Allman & Friends in Augusta, GA Wednesday 10/10/12!! Just heard the first radio advertisement for it on the way to work this morning. Tickets go on sale today at 10AM but I was able to score Wednesday through a local pre-sale deal. Who all is coming? Oh...I forgot to mention. Jaimoe's Jasssz Band IS opening. I scored two excellent tckets Dave. One of these days, maybe we hook up an hang out in good ole Augusta. I know someone who has an extra pair of tickets for Gregg and Jaimoe's Augusta concert. PM me and I'll hook you up with the seller. I will be going for sure Dave! My name is Adam not Jessica. People can you feel it. I'll be in Section 2, Row E, right on the aisle. If anyone is coming to our fair city for the show, we're talking about a pre-show gathering at The Pizza Joint on 1245 Broad Street. Great pizza by the slice and a huge assortment of draft and craft beers. Of course, we'll want a full report. All right all you Wed night revellers! It's 9:00 AM, get your butts on line and give us a play by play! It killed Darlene & I not to be able to make the drive south for this one last night! Got two cars in the shop out of 3 and it's all comin outa my pocket this time around. We just might have to make a last minute run to Greenville tomorrow night. there ain't nuthin like a song sung by Brother Gregg when he's bringning his A-Game! I really don't think I want that report. 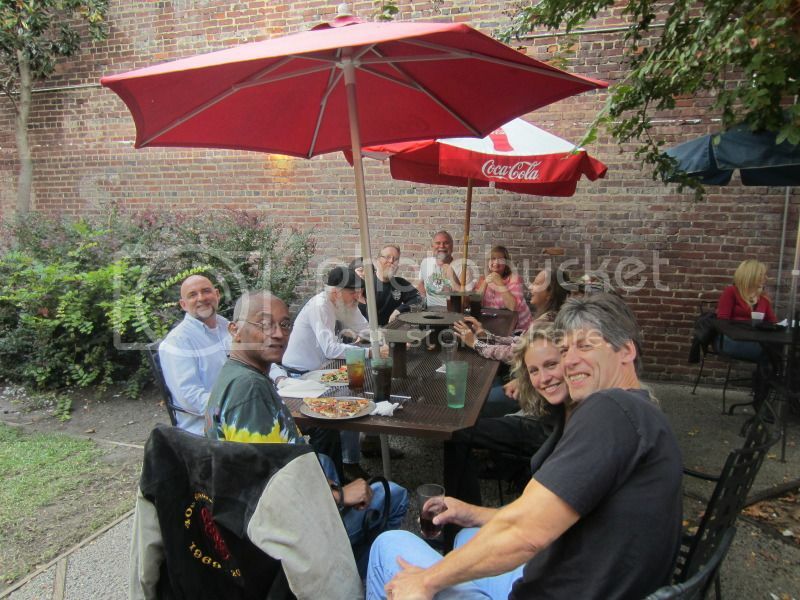 Had a nice preshow gathering at The Pizza Joint on Broad Street last night. Good to see Buzzy 82 and his wife, Myself, my wife and daughter, Bluedad, Wayne, Kenny and Penny T, Kyler, and my friends Roger and Teryl and Ken and Denise. We got to The Bell and got seated. 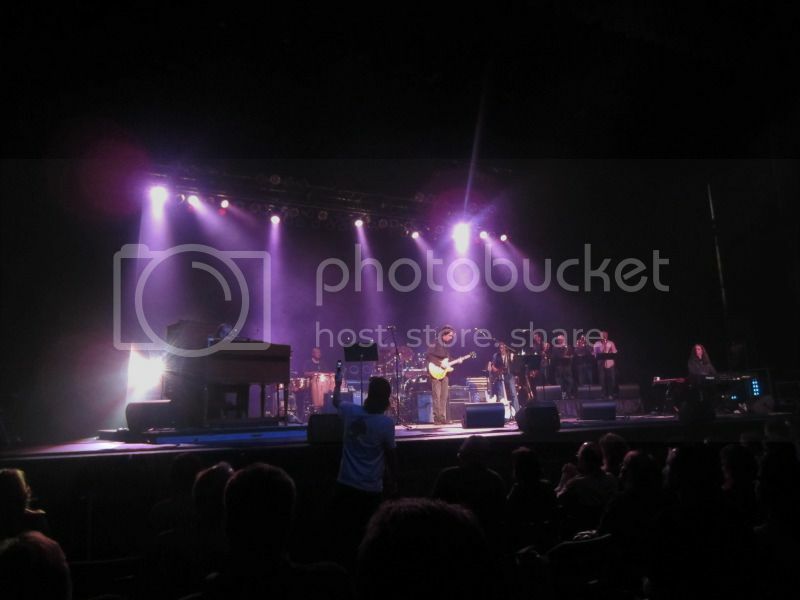 The concert started promptly at 7:30PM and Jaimoe's Jasssz Band played for an hour. If you have never seen JJB, this is a must see band! Jaimoe has A list players in his band; Junior Mack on guitar and vocals, Brother Dave Stoltz on bass, Bruce Katz on keys, Paul Lieberman on sax, flute, and piccalo, Kris Jensen on sax and Reggie Pittman on trumpet. I didn't keep a set list, but the music was smooth and the solos were superb. Junior Mack is a hell of a guitarist and singer. I really dig horns in a band, and the guys in JJB can bring it. Dave and Jaimoe laid a huge groove all night. Bruce played a ton of solos. My wife and daughter really enjoyed them. It was their first JJB show. Gregg came on and all I can say is his recovery from the things that ailed him earlier in the year is nothing short of remarkable. He sang from the gut and with authority all night long. He played a lot of guitar through the night since he had Bruce Katz capably playing keys on the opposite side of the stage. Gregg is a really good guitar player, and a lot of people forget that Gregg played first and taught Duane how to play initially. A big thrill for me was to say hello to Jerry Jemmott after the show and shake his hand. Wayne has a cool little story to tell about a conversation he had with Jerry about playing with Duane. It had been 13 years since Gregg last played the Bell (I was there) and it was great to have these two excellent bands in my town. If I took anything away from the show, aside from great entertainment, is the fact that Gregg looked and sounded better than ever, and I believe he's healthy and happy. The road does, indeed, go on forever. EAPFP. I have more pictures on the iPhone. I'll post them when I DL them. Thanks for the complete report Dave. Sure would have liked to have made it over; I am especially wanting to see Jaimoe's Jasssz Band. Great review and pics Dave, thanks so much. You make me hunger for a GA&F west coast swing...........damn, it's been 3 years. You have to go see the bands on Thursday. Amazing performances by both bands last night. My first time seeing GA and Friends and man....INCREDIBLE. Gregg's band came out after JJB and blew the roof off. GA playing like he was 21 years old. Feet stomping at the keyboard, never left the stage during the other members solos. That is something I have never seen. He is looking awesome and singing the blues. Floyd Miles singing a few... Jerry Jemott just plonking that bass and I could feel it hitting my chest all night long Horn section (mostly Jaimoe's guys), were smoking. Nice guitar work work from Scott Sharrod. Gregg smiling and just rocking. Thanks Dave, that's what I hoped to hear from the GawGa-Lina Road Dawg crew! Great pics! Good friends, good food, cold beverages, and great music! I was really worried this summer that it might really be close to being "Over"! Big sigh of relief and now expectation to hear that Gregg is bouncing back to A-game form! Now, if the Mrs. will just take to to the Peace center tomorrow night, I could regain that smile! WAYNE - long time no Dixie-Cheese Half & half Bro! Play all night! Forgot to mention...I met Don Melton, Jr., last night! Nice meeting you Don! John, I thought you might sleep all day! Great to hear these ecellent reviews from the folks I know and have shared so many ABB experiences with! It's been a long long time since I've been to the Bell! My first time to ever witness the Charlie Daniels Band live was at the Bell circa 1974 -75! Charlie & Tommy Crain blew the roof off that old building! Closed my eyes during "No PLace Left To Go" and coulda swore it was the Brothers on stage that night! My frineds, the Kinfolk Band from Greenwood opened up that night playing original R&R and Southern Boogie, and they won a lot of Augusta following after that slot. Led to those many nights in downtown Augusta on Broad Street, at the Whipping Post! Sounds like Greenville better get ready tomorrow night! If you're travelling into Greenville tomorrow night be prpared as they're having a downtown street festival, "Fall for Greenville" all up and down Main street near the venue. Lots of free music and street food venders, even shows going on at the amphitheater located right behing the Peace center. Parking will be a test, so arrive early if possible! Come in on 25 South = Augusta Street if possible, this will get as close to Peace center as possible before you deal with festival foot traffic etc. Don Melton in the house = some tasty videos soon! Big Dave and John described the night perfect, great night of music and hanging out with friends, old and new. Always fun to sit with John at a concert. Dilemma by JJB may be one of the best tunes I have ever heard. I love it on the cd, but hearing it live made it even better. And seeing and hearing Gregg last night, I felt like it was 1973 all over again! He was having fun up there. Multicolored Lady, Queen of Hearts... doesn't get any better than that! And Bill, I have been craving a Dixie Cheese Half & Half, now I am thinking about it again!